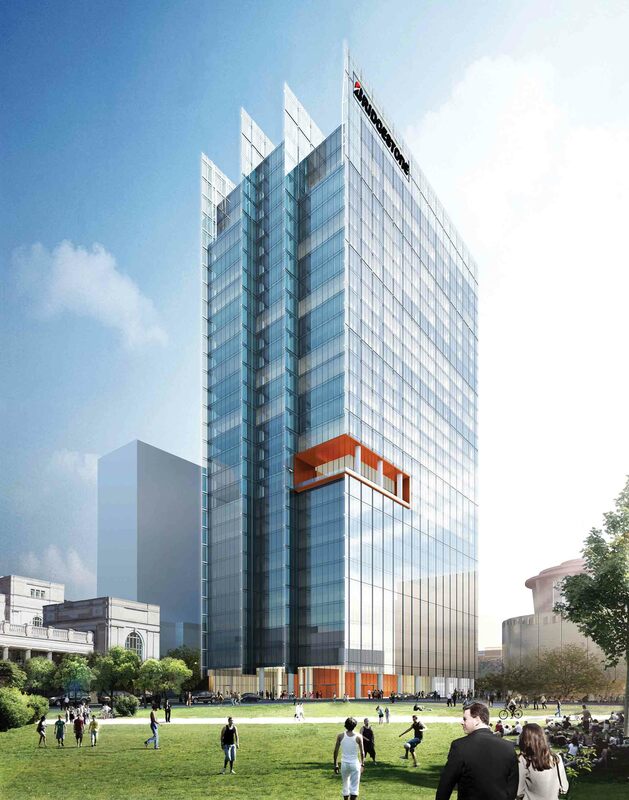 Rendering of new Bridgestone Americas headquarters building in downtown Nashville which is scheduled to open in 2017. More than a quarter century ago, two of the biggest names in tires and rubber came together to form a global company built on innovation, technology and superior service. In 1981, Shojiro Ishibashi, who had founded Bridgestone Tire Company, Ltd. in Japan in 1931, purchased a tire plant in Tennessee operated by the Firestone Tire and Rubber Company, founded in Akron, Ohio, in 1900 by Harvey S. Firestone. As the two companies worked together, they realized that by combining entities, their collective strength would be unparalleled. The consolidation of the rich histories of those two companies in 1988 led to the creation of Bridgestone Americas under the parent company Bridgestone Corporation. Committed to a mission of “Serving Society with Superior Quality,” the company is now the largest tire and rubber company in the world. In fact, one in every six tires on the road today is a tire from Bridgestone. But Bridgestone isn’t just tires; its portfolio ranges from sporting goods to building products, polymers and industrial products. Bridgestone Americas operates 53 of Bridgestone Corporation’s 165 production facilities worldwide and employs approximately 55,000 teammates of its 144,000 employees. Bridgestone’s commitment to quality stems from a passion for improving the safety and lives of people everywhere. The company’s premium, technology-driven brands are top choice for consumers worldwide and reflect the founders’ shared vision to innovate to meet the emerging needs of future generations. Harvey Firestone and Shojiro Ishibashi’s early insights and focus on identifying what’s next drive the Bridgestone corporate culture today, with innovation still at the heart of everything the company does. 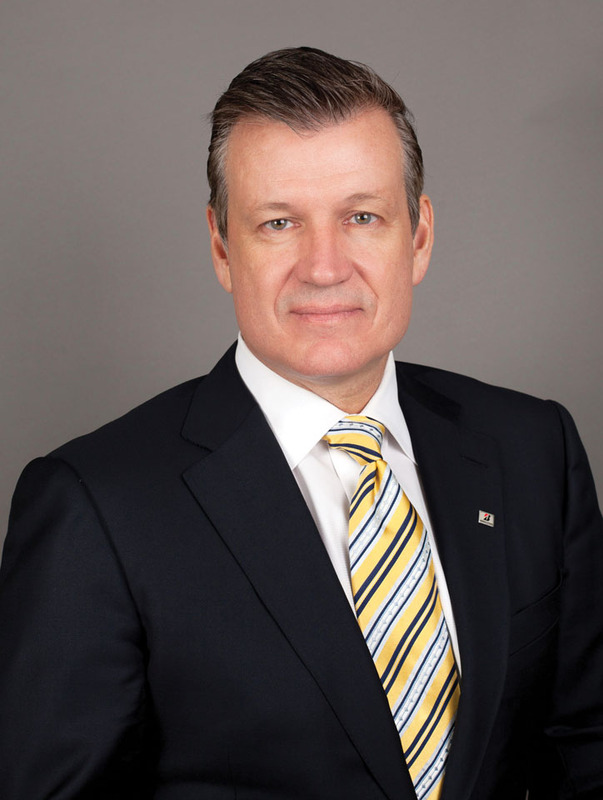 Gordon Knapp, CEO and President, Bridgestone Americas; Vice President and Senior Officer, Bridgestone Corporation; and member of the Board of Bridgestone Americas, Inc.
Bridgestone has enjoyed deep ties to the Nashville community for decades. The great quality of life, relatively low business costs, reasonable cost of living, and great overall employment value proposition have made the Music City an ideal location to build a strong future for the company. Community involvement continues to be a key focus for Bridgestone. Employee volunteers are deeply engrained in the Nashville community, and the Bridgestone Americas Trust Fund contributes to a wide range of charities and civic organizations. The company also invests in significant sponsorships, including the naming rights to the Bridgestone Arena, which helped to keep the Predators in Nashville.